It was a glorious autumn morning, with clear, deep blue skies and a warming golden sun. 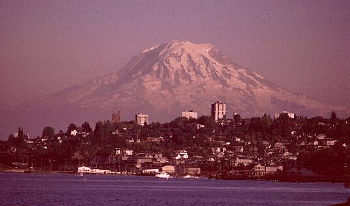 Mount Rainier stood tall on the horizon with its snow-covered summit as a gatekeeper to the city of Seattle. It was late September 1992 and the benign weather was just perfect for flying in Washington State, a common thought to flyers confronted with welcoming skies. Whilst preparing a flight bag my grey matter provided a virtual checklist “license, medical certificate, logbook” and the hotel room’s coffee brewer provided a steam engine sort of background noise, as the brown colored liquid exited its nozzle. “ Not so bad” I thought after the first sip, Seattle being the land of “Starbucks” and all…but the weak American coffee was not easily accepted by my Latin veins, used to stronger Arabica beans and fulfilling café con leche of my Uruguayan childhood. After arriving from London the night before operating as a cabin crewmember on a 747-436, I was promptly on the phone to a flying school based at Boeing Field, to book a local flight and check ride. It would be an opportunity to see the local sights and stay proficient on the recently acquired FAA CPL/IR. 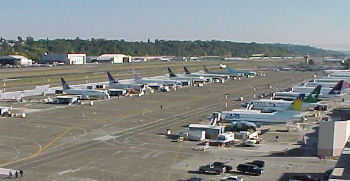 Seattle’s Boeing Field. Image courtesy of Pilotoviejo. From my hotel I caught the almost empty bus to Boeing Field a few miles away. Few use public transport in the land of the automobile and ten lane highways, like the one connecting the city centre and Seattle Tacoma airport (Sea-Tac) whilst bordering the historical Boeing airport, like a giant snake hugging its prey. This historical aerodrome is home to the Boeing “Museum of Flight” and the place where Mr. Boeing or the plane maker to the worldbegan producing flying machines 1916. The old wooden shacks gave way to large concrete monster buildings surrounding the Boeing works supplying its ferocious appetite for the whole range of aviation parts that keep the production lines alive at the field and further a field in nearby Everett. My head, early morning puffy eyes included, was glued to the window attempting to spot aircraft types along the long single runway, from jet airliners to light aircraft, to a few AWACS and their top early warning radar dishes comparable to a flying paella dish! IUnusual colour picture of FAU 571 on happier days. Image courtesy of Pilotoviejo. “This is your stop, Sir,” advised the driver. Quick thanks exited my lips but no eye contact to the kind man as I had only eyes for what I just spotted on the distance. There on the airport tarmac, amongst many others, standing proud outside the hangar was a unique type: a Fairchild-Hiller FH 227. 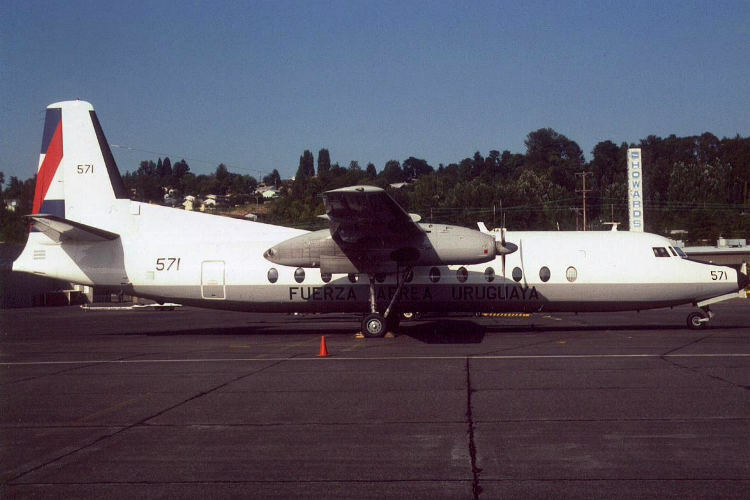 Nothing strange here except the writing “FUERZA AÉREA URUGUAYA” (Uruguayan Air Force) written with big capital letters underneath the main passenger windows. My initial thought was: What is she doing here? They wouldn’t do any maintenance here! I knew as an ex FAU engineer that most repairs on type were done at home in the Brigada de Mantenimiento y Abastecimiento at Carrasco and failing that major inspections could be done in neighboring countries. 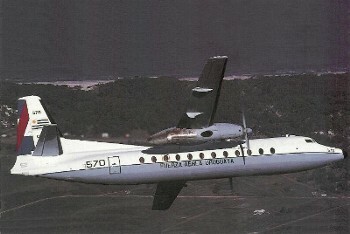 “Wait a minute” I thought, the FUERZA AÉREA URUGUAYA writing was removed when the aircraft got the CX civilian registration and started operating domestic sectors for the Uruguayan state carrier Pluna, so the color scheme was not contemporary. A further headshake – it must be the coffee I wandered – convinced me of my correct eyesight: Artigas flag on the rudder fin, white fuselage top and grey bottom, it is one of ours! I allowed my brain to reminisce and take me back in time. 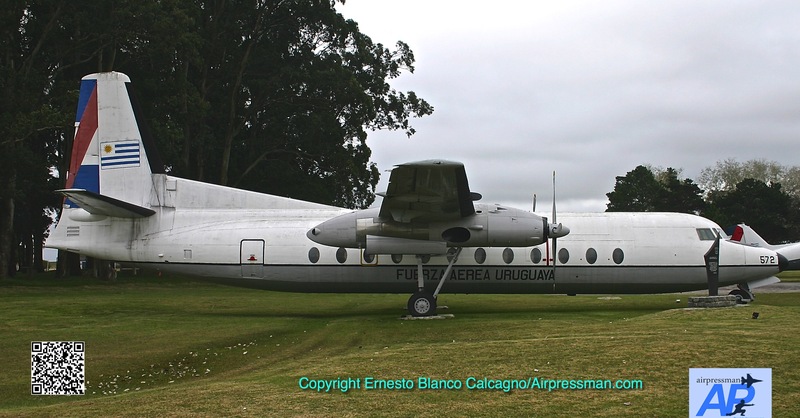 I have fond memories of Mr. Fairchild machines for it was FAU 570 (another FH 227D on service in Uruguay) the first airplane I ever set a foot on and would take me away from my country. The date my family and I emigrated to Brazil: July 19, 1973. Many compatriots left our land in those distant, turbulent years: Argentina, USA, Canada even Australia were the destinations. Our father had gone ahead to our neighboring giant, seeking new professional opportunities, and he would find them in Rio de Janeiro where we, like our Italian-Spanish ancestors did in the 19thcentury, find a welcome land to start anew. I remember the cold winter morning in our Buceo neighborhood apartment in Montevideo just before our departure. My busy stepmother Teresa was rushing my eldest brother Fidel and I to get ready, as the two oldest of the clan and to assist caring for our younger brothers 18 months old Ariel and three months old Paulo. We said goodbye to our memories and got into the black and yellow taxi under the cover the July morning darkness. “It’s zero degrees this morning”. – Said the driver- trying to make small talk, however none of us was on the mood to converse. At Carrasco International Airport we waved farewell to our relatives, tears flowing in some, of the many family members that usually accompany departing loved ones in Latin airports the world over. My excitement grew as I walked into the tarmac to board, my young eyes widening, as they glanced at the FH 227D silhouette in the dusk. The lights of FAU 570 seemed for me, 11 at the time, alike to a poorly lit Christmas tree. The same illumination would turn in later years into cabin, position lights and anti collision beacons. The purple taxi- way lights showed us the way to the runway and we left native soil under the growling sound of the two Rolls Royce Dart engines at fine prop pitch. Cotton was made in heaven I thought, as we later thundered through stratus clouds leading into clear blue skies above and the shy but ever raising winter sun. As my now grown up senses felt the smell of the cabin all those years ago, my brain landed back at Seattle, 1992. My eyes turned back to the aircraft I’ve just seen and were filled with sense of disbelief. Its military registration number was 571. I shocked my head and looked again: 571. Impossible I wandered. 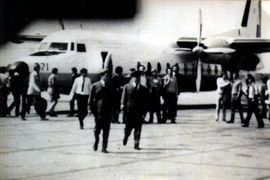 FAU 571 during the stop in Mendoza, Argentina, before the tragic end. (Image courtesy of Pilotoviejo) mountain slope and skidded through the snow. The true causes of the tragedy are unknown. FAU 571 had been built in 1968 and had only 792 airframe hours. Let me explain: In October 1972, a Uruguayan FH-227 was being used to fly from Montevideo to Santiago via Mendoza in Argentina. 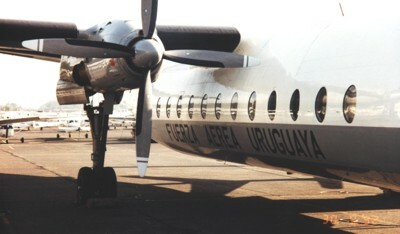 It was part of the Air Force’s TAMU fleet (Transporte Aereo Militar Uruguayo – Uruguayan Military Air Transport)that at regular intervals would link many Latin American cities whilst transporting civilian fare paying passengers, at a nominal fee. On this flight most of the 45 customers were teenage students from Irish priest founded Stella Maris catholic school on a rugby tour to Chile. 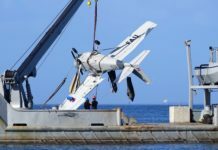 Coronel Julio Cesar Ferradas was the aircraft commander joined by co pilot Lt. Coronel Dante Hector Lagurara and a flight mechanic Carlos Roque doubling as a cabin crewmember. Ferradas was an experienced Air Force pilot who had a total of 5117 flying hours and 29 flights across the Andes Mountains under his belt. Following takeoff from Mendoza, the aircraft climbed to 15000 ft and followed the Airway G17 across the Andes. While flying at an altitude of FL150 in turbulence the right wingtip hit a mountain and broke off. The right wing folded over the fuselage and cut off part of the tail. The left wing also separated and the fuselage hit a mountain slope and skidded through the snow. The true causes of the tragedy are unknown. 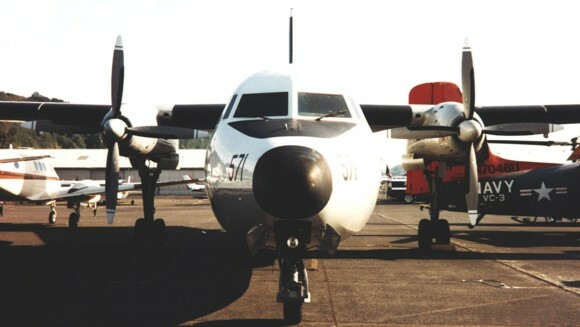 FAU 571 had been built in 1968 and had only 792 airframe hours. The survivors spent more than two months in the mountains with no food, water nor cold weather equipment to survive the hostile elements of the peaks at the Argentine/Chilean border where FAU 571 ended his days. 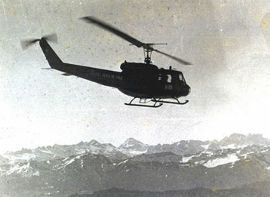 Christmas Eve 1972, was the date when the boys were rescued, thanks to their heroic enterprise to surpass great odds, walking many miles through the mountains to obtain help, after the official search was called off and few had hopes of finding anybody alive: The miracle of the Andes was born as out of 45, 16 compatriots returned home. 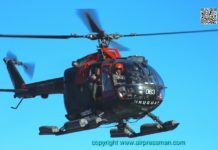 The courage of a few Chilean Air Force helicopter pilots who risked their lives to collect the survivors on their Bell UH-1 to bring them back to the world and their hopeful families will never be forgotten. Still numbed I proceeded to flight school and completed my check ride.Stalls, general handling, touch and goes etc. My instructor did not know, when asked, what this FAU 571 version was doing so far from its resting place (the 571 in the Andes was burnt down by rescuers and a cross and remembrance plaque set in place). On completion of the flight I walked towards her with reverence, curiosity and a feeling of respect to obtain further details and photograph the machine. The details were perfect, as I remembered them and knew them well. Apart from my first ever flight this trustworthy planes shuttled FAU staff between Montevideo – where I lived – and Durazno (Air Force Base No.2) where I was based as a technician with Grupo de Aviacion 2and I had more hours as a passenger on type that I care to remember. A local technician approached me, and seeing my curiosity and many pictures later, he would finally reveal nearly all to me: “It was used on a film or something earlier this year. Now is just here for sale”. 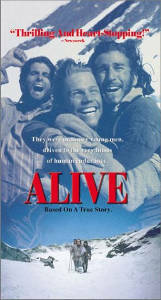 Late 1992 that year, Disney studios movie “Alive” was released, telling the story of the crash and the Andes survivors Hollywood style. Some of the spectacular flying scenes were shot north of Seattle over the Canadian Rocky mountains thus all was revealed as the motives of this aircraft presence at Boeing Field. I proceeded to explain, to my puzzled companion, what this aircraft represented to my country, its air force, its people and me. These words probably fell on deaf ears, as the gringo could not appreciate the emotions felt by me plus the fact that the aircraft facing him was not a collective of alloy, wires, grease, fuel, and rubber. No, that chunk of metal represented a sort of time machine that took me back to the news bulletin seen in the old black and white TV that October 1972, when three million Uruguayans were told that one of their aircraft was missing in a distant, hostile region of their continent, at that time our worst air disaster. That lump of metal took away some fine countrymen, military and civilian alike. The former would be colleagues in spirit, years later when I joined their ranks at the Air Force (I still remember the picture of Carlos Roque, the in-flight technician onboard FAU 571, placed above the entrance arch on the dormitories of Grupo de Aviacion no.4. non commission officers) The latter and the survivors would be a beacon of hope to my generation, showing what can be accomplished with persistence and determination in the presence of unsurpassable odds, and set our minds to attain a common aim. But on a happier note that portion of metal was the pillar of my flying dreams igniting the desire to be surrounded with aviation, as I would aspire and dream of being in the air following that very first flight. That chunk of metal was responsible for my return home to Uruguay from Brazil (against my father’s will) and later enrolment in the FAU in 1978 as a cadet for the Escuela Tecnica de Aeronautica later graduating as a jet engine’s engineer. The feelings set in motion on my young impressionable soul carried me through the arduous academic and physical training, the cold long duty nights, the time away from my dear family and sweet heart, the feeling of duty accomplished, of service to our nation and after loosing my typically teenage naïve smile – that many time caused me problems on the serious military environment- for the final transformation from child to man. But most important of all, Mr. Fairchild’s graceful machine place me where I’m today. Thirty years on after my first contact with aviation magic, several jobs later (most in aviation), tears, smiles, flying hours later, the FH 227 unknowingly, placed me closer to God’s face and gave me all these memories, after all memories is all we take with us to the next level. Let us pray for thirty or more years of happy flying memories and………………..no more ghosts! The “Ghost of FAU 571” as published on “Air & Space” magazine February/March 2016. Air & Space is the magazine of the Smithsonian National Air and Space Museum. The Museum claims it has the largest collection of aerospace artifacts in the world. Next articleRaging Fire! 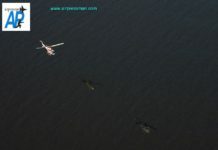 Air Force and Naval rotary wing assets and civilian aviation to the rescue!